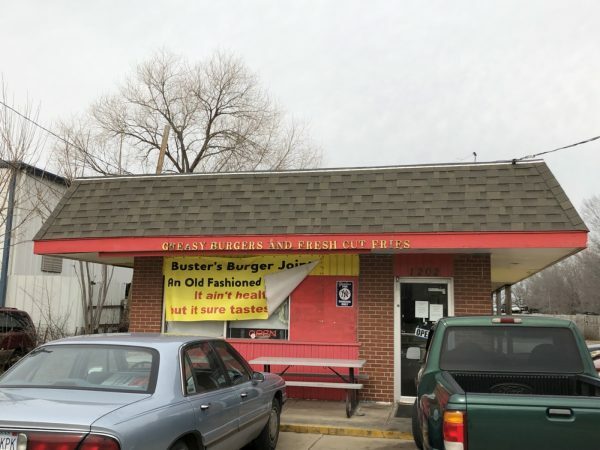 Buster’s Burger Joint: Great food without all the frills – Wichita By E.B. Sometimes you just want an old fashioned greasy burger. One that is basic and doesn’t rely on fancy dressings or ingredients to disguise what the actual burger really taste like. That’s exactly what you can have at Buster’s Burger Joint. 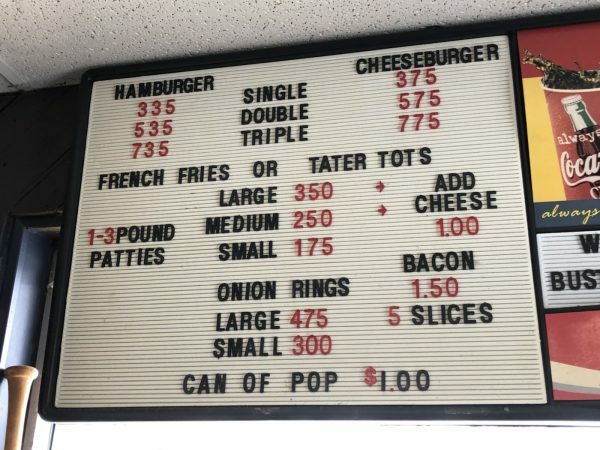 They’ve been in Wichita for 17 years now and have long been one of my favorite little burgers stops. Only open from 11-3 makes it a little hard for me to swing by but when I do, it’s always worth it. 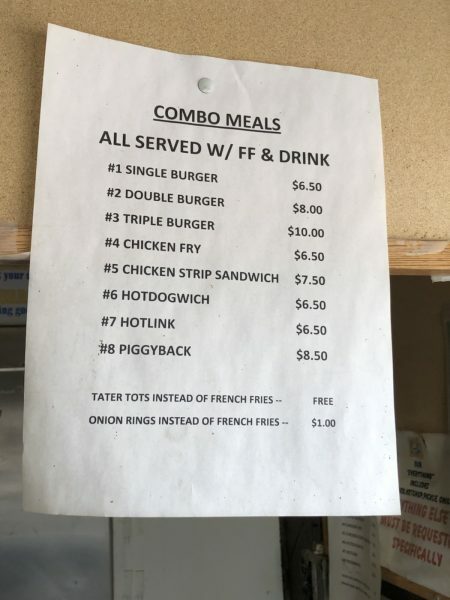 Their burgers are advertised as 1/3 pound patties. 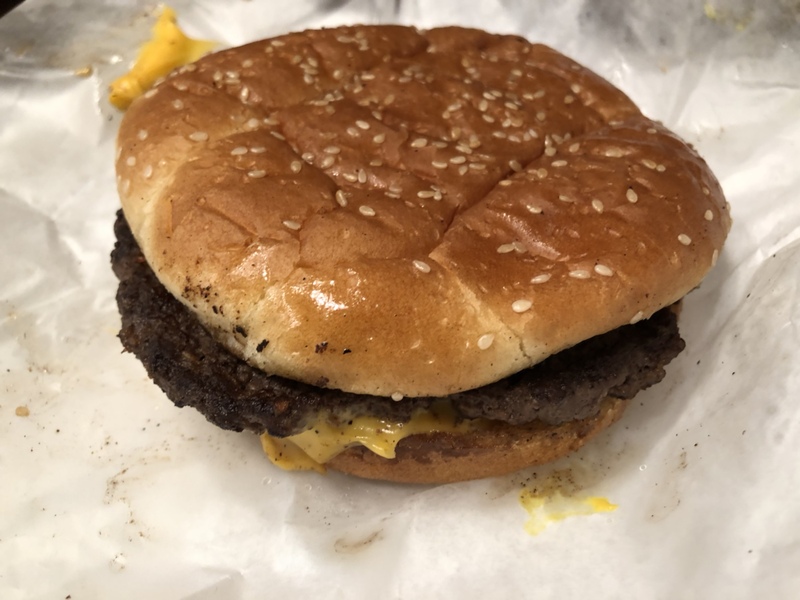 According to my girlfriend, they thought they were bigger in size and almost intimidated by the pure monstrosity of a single patty burger. While she opted for the single patty, I went full piggy mode and ordered a double with fries. 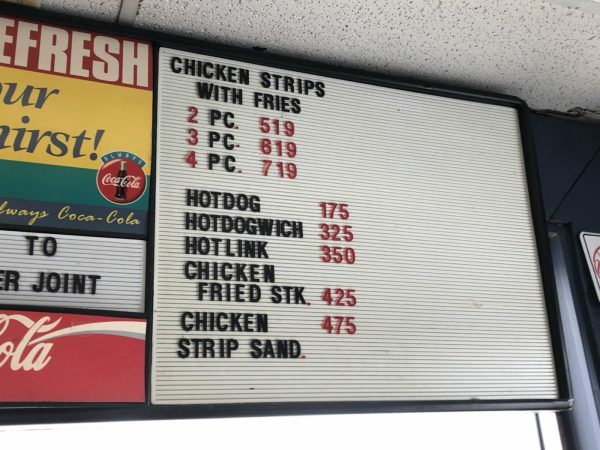 Just to make sure I wasn’t hungry for the next twenty years, I added a hot dog as well. I’m not going to kid you, this burger was greasy but it made up for it in taste. This would be the perfect type of burger when you’re needing something greasy to eat post hangover. The bun collapses down on the patty just right where it leaves finger indentions but doesn’t soak through to the meat. 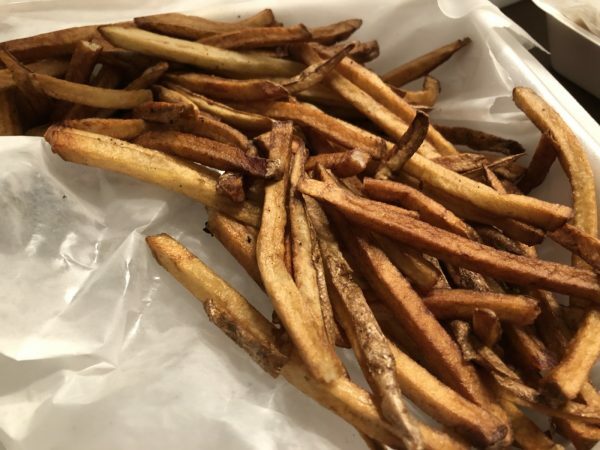 Each meal comes with your choice of fresh cut fries or tater tots. 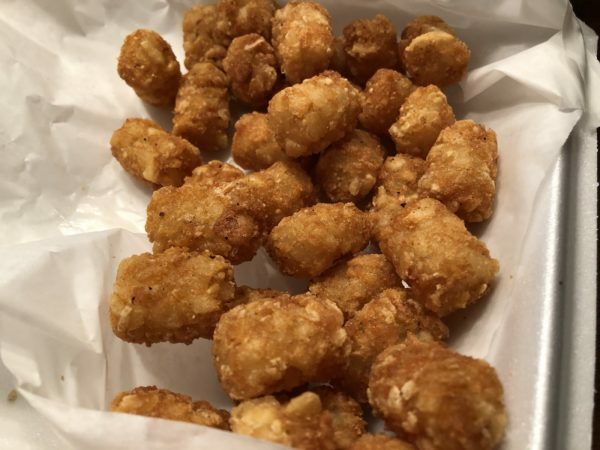 While the style of fries isn’t my personal preference, we really loved their tater tots. If I were to try and describe the perfect texture of a perfectly fried tater tot, it’s here. They are not soggy and provide the right crunch in each tot. 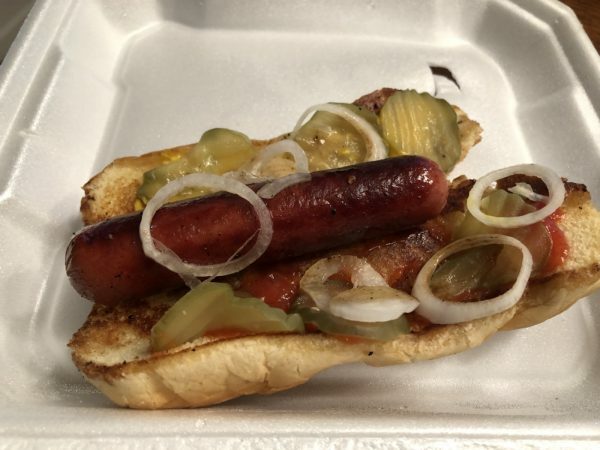 The hot dog isn’t anything to write home about. Visually it’s nothing special but in the end it was just a d*mn good hot dog that I scarfed down in probably seconds. The great burger debate is always a tough one. Everyone has their favorite but that’s the beauty of Wichita. We are lucky to have so many great options thus why there’s the debate. 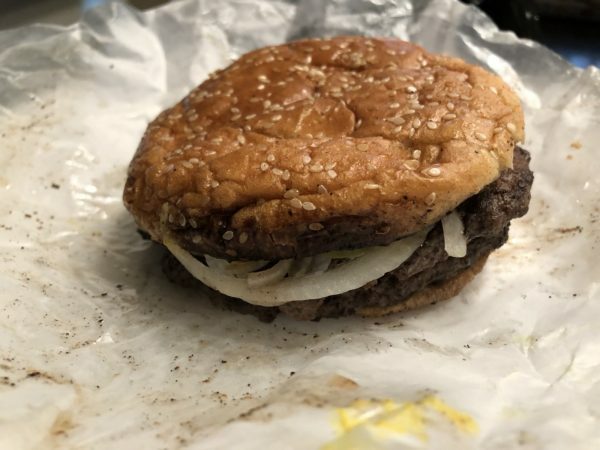 Buster’s Burger Joint is definitely deserving of being in that conversation. 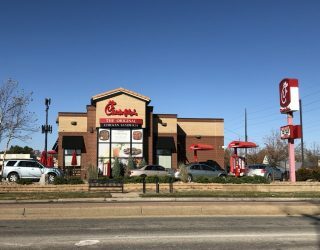 The staff working inside has always been incredibly friendly and appreciative on every visit of mine and they don’t even know me. They’ll treat you respect and feed you a tasty and greasy burger. 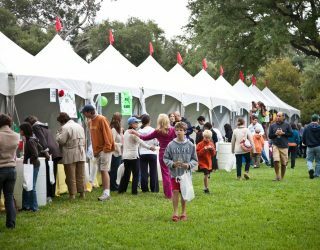 Just make sure you bring cash.